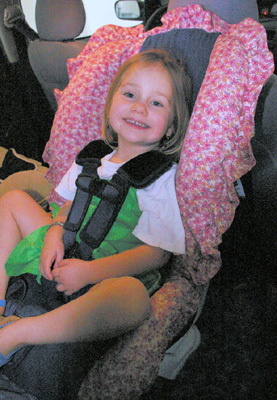 Nyssa's last rear-facing picture at 3 years, 5 months old. She is 33 lbs in this picture, and was turned forward-facing shortly after it was taken. 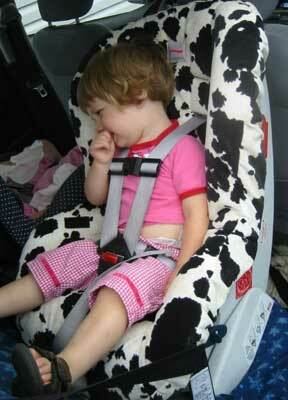 Nyssa is 2 years, 5 months old rear-facing in the Britax Roundabout on the left, in the Cosco Touriva on the right. 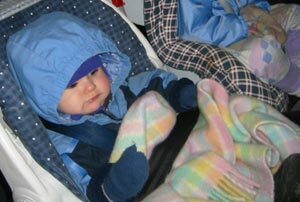 Nyssa is in Canada, where children are still routinely turned forward-facing at 1 year OR 20 lbs OR when they can sit upright unassisted, whichever comes first. Nyssa weighs about 25 lbs. 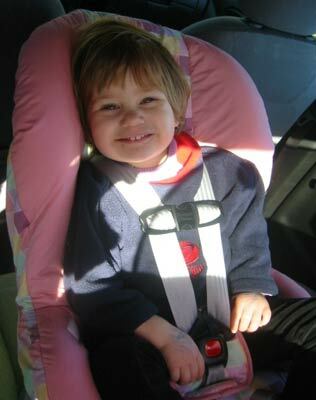 Nyssa is 1 year, 8 months old rear-facing in the Britax Roundabout. Nyssa weighs about 22 lbs. 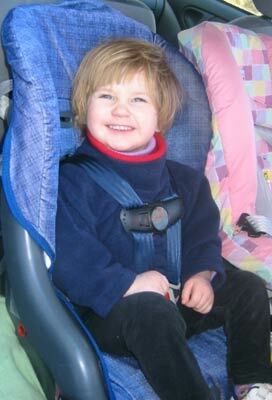 Nyssa is 1 year old, about 20 lbs, rear-facing in the Fisher Price Safe Embrace infant seat. Nyssa's sister Sandrine is also rear-facing.